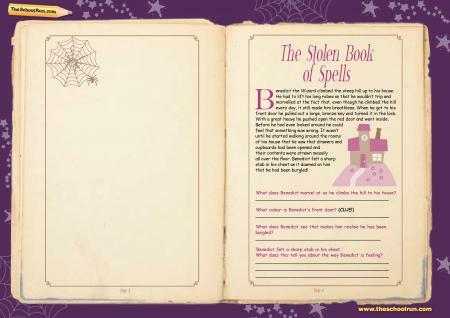 If you'd like to do some reading comprehension practice at home, The Stolen Book of Spells is an engaging, child-friendly learning pack aimed at KS2 children written by primary school teacher Alice Hart. 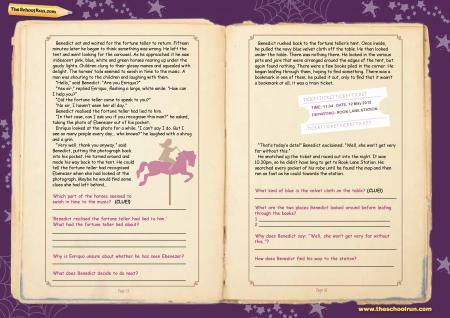 Your child will need to read the story, answer the questions and solve a riddle to 'help' wizard Benedict find his stolen Book of Spells; suggested answers are provided so you can review your child's work and help them improve. Before you download the pack you can also read a parents' guide to reading comprehension; you'll also find other reading comprehension worksheets and activities to help with at-home practice on the site.